Margaritaville Coconut Oil elevates your vitality and peace of mind to a whole new level. Rich in medium-chain triglycerides and overflowing with myriad benefits, this delicious, smooth and creamy coconut oil can turn your shake or smoothie into a wholesome nutritional treat. Pure and natural coconut oil nutritionally supports brain function and the beauty of hair and skin. Easily enhances protein shakes or frozen concoctions in all Margaritaville Frozen Concoction Makers. Incredibly delicious Margaritaville Coconut Oil makes a perfect addition to health drinks such as smoothies and protein shakes, and blends well into almost all drinks made with Margaritaville Frozen Concoction Makers. This unique coconut oil can also be used as a wholesome substitute for shortening in baked goods, and adds excellent flavor and texture to dressings and spreads. 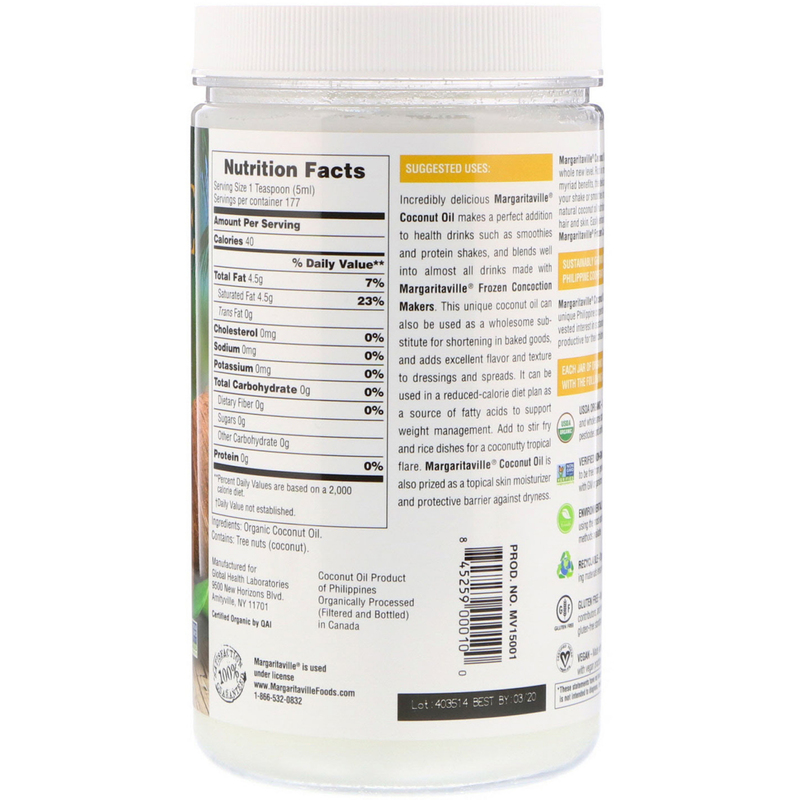 It can be used in a reduced-calorie diet plan as a source of fatty acids to support weight management. Add to stir fry and rice dishes for a coconutty tropical flare. 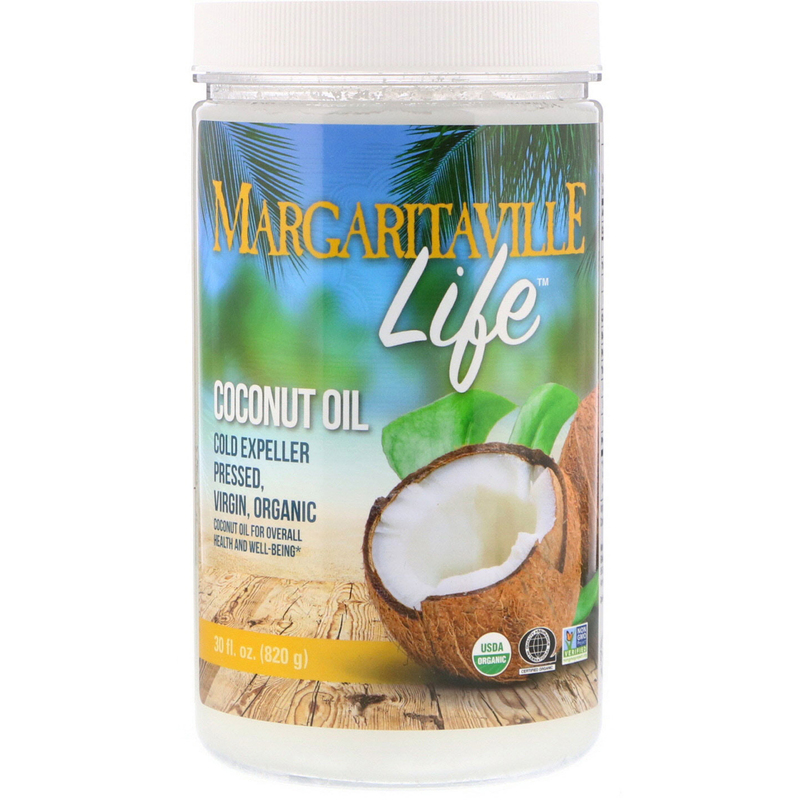 Margaritaville Coconut Oil is also prized as a topical skin moisturizer and protective barrier against dryness.